ecobee’s smart thermostats keep your home comfortable while conserving energy and saving you money – control from your smartphone, tablet, or web. Smart home company Ecobee is planning an indoor smart camera that could have Alexa built in, according to smart home blog Zatz Not Funny. Ecobees other smart home offerings, smart thermostats and light switches , are Alexa-enabled, which has led to speculation that the camera will be as well. Leaked pictures of a sleek black-and-silver, conical Ecobee-branded camera turned up on Zatz Not Funny this week. Okay, it’s not exactly a surprise, but more like an inevitable addition to Ecobee’s lineup that nearly everyone in the smart home technology market has expected for some time. It’s refreshing to see an underdog expand in the smart home scene. The company seems to still be competing with Nest. Amazon sliced the prices of Nest and Ecobee smart thermostats that integrate with Amazon Alexa, Google Home, and other smart home platforms. Nest and Ecobee are two of the best-selling brands because of their abilities to learn based on owner behavior and work with remote sensors to set temperatures. Ontario Green Savings, the Toronto-based company specializing in smart home automation with focus on reducing energy consumption of households across Ontario, announced today that it is offering a free Nest or Ecobee smart thermostat to all homeowners from all over Ontario who are qualified to receive one. Why Nudge.ai? Reach out to the decision makers at Ecobee with a personalized email - let them know that you found their recent news mention interesting. 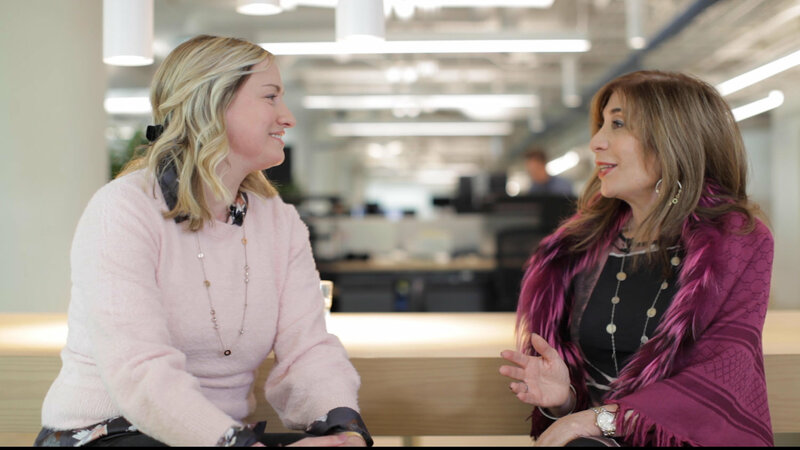 Nudge.ai’s relationship intelligence platform can help you find the right executive to reach out to at Ecobee, such as Jordan Christensen, Vice President of Technology, or Penny Farinha, Vp Human Resources. Then get in touch and start a conversation. Executives can be difficult to reach, but every company has connectors who bring together people and ideas. At Ecobee, people like Stuart Lombard, and David Brennan are likely connectors. When Ecobee is mentioned in the news, Nudge.ai often sees topics like Ontario, and Toronto. If your conversation focuses on these topics, you’ll probably get Ecobee’s attention. When Ecobee is mentioned in the news, companies such as Enernoc, Nest, and Control4 are often also mentioned. These companies can serve as customer examples. Employees who are often in the news are usually open to starting conversations or exploring ideas. Nudge.ai's sales AI saw Stuart Lombard, David Brennan, and David Brennan from Ecobee recently mentioned in the news. Guest Blog Post By Diane Kazarian In my new role as PwC’s Greater Toronto Area (GTA) Managing Partner and a strong supporter and leader of diversity, inclusion and innovation, I’m always looking for new and exciting stories to tell. Recently, I spoke with one of our younger alumni about her time at PwC Canada in … Continue reading "Beyond the Books: How a Career in Accounting Led Alanna Niskanen to Working at a Smart Home Tech Company"
Who in your network can introduce you to Ecobee? Nudge.ai finds the best pathway to reach contacts at this company.